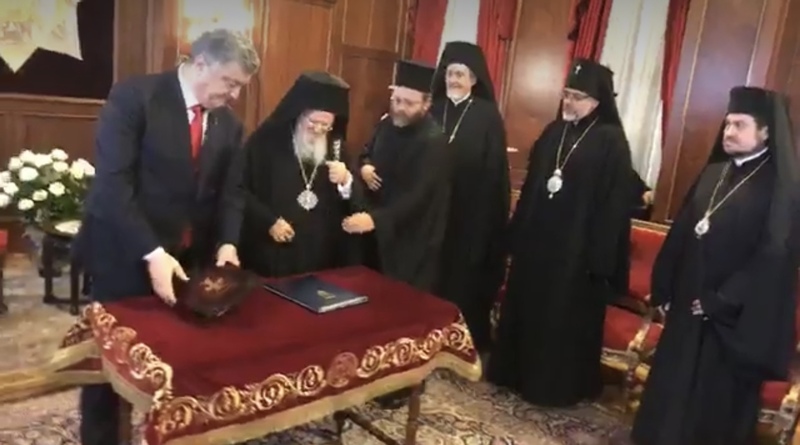 Ukrainian Orthodox Church of the USA - President Petro Poroshenko and Ecumenical Patriarch Bartholomew signed the Agreement "On Cooperation and Interaction between Ukraine and the Ecumenical Patriarchate of Constantinople". President Petro Poroshenko and Ecumenical Patriarch Bartholomew signed the Agreement "On Cooperation and Interaction between Ukraine and the Ecumenical Patriarchate of Constantinople". This agreement on cooperation was signed in the presence of the diplomatic delegation of the Government of Ukraine and the representatives of the Ecumenical Patriarchate of Constantinople: Metropolitan Emmanuel of France and the Exarchs of the Ecumenical Patriarchate in Ukraine – His Eminence Archbishop Daniel (UOC of the USA) and His Grace Bishop Ilarion (UOC of Canada). The Head of State stressed that this day is historic for the creation of an independent Ukrainian Autocephalous Orthodox Church, as today the agreement was signed on the establishment of an independent Ukrainian Church. "The Agreement we signed today provides all the conditions for the process of preparing for the Council, the process of giving the Tomos to be brought to a strict conformity with the canons of the Orthodox Church. I congratulate you all on signing this Agreement. I want to emphasize that November 3 is a historic day for the creation of the Ukrainian Autocephalous Orthodox Church," Petro Poroshenko said. 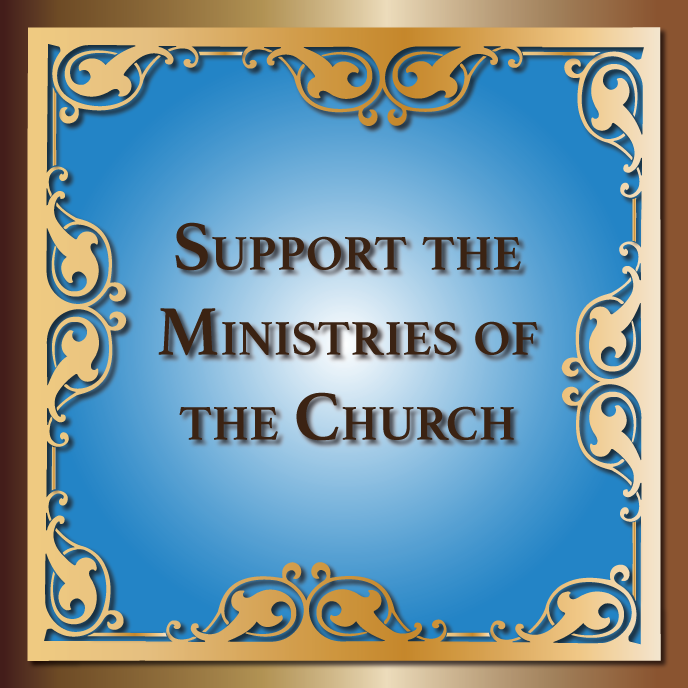 "I urge Ukrainians to pray for peace, for the unity of the Ukrainian Church. To pray that the Lord will not allow provocations strived by our enemies, will not allow bloodshed. We will do our utmost to complete the procedure of giving the Tomos to the Ukrainian Church by His All-Holiness Patriarch Bartholomew as soon as possible," the Head of State said. Patriarch Bartholomew thanked President of Ukraine Petro Poroshenko and the Ukrainian delegation for the visit. He also thanked for the decision to transfer the St Andrew's Church to the Ecumenical Patriarchate for the permanent representation of the Mother Church in the capital of Ukraine. 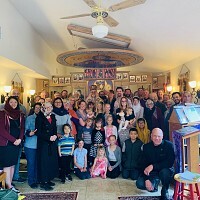 "I pray to the Lord that in the near future I will visit your beautiful and hospitable country once again," His All-Holiness noted. 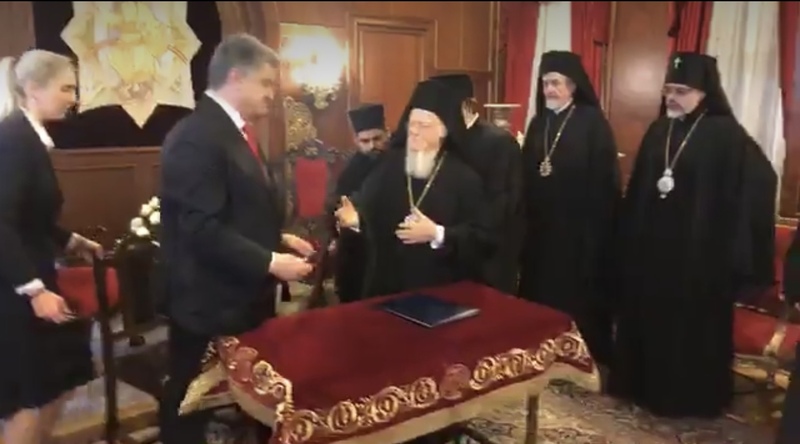 The Ecumenical Patriarch also conveyed blessings to the Ukrainian people through the President of Ukraine as the elected representative of the Ukrainian people. Президент Петро Порошенко та Вселенський Патріарх Варфоломій підписали Угоду «Про співробітництво та взаємодію між Україною та Вселенським Константинопольським Патріархатом». Угода про співпрацю була підписана в присутності Високопреосвященого Митрополита Еммануїла із Франції та Екзархів Вселенського Патріархату в Україні Високопреосвященного архієпископа Даниїла (УПЦ США) та Преосвященного єпископа Іларіона (УПЦ Канади) та представників уряду України. Глава Української держави наголосив, що 4 листопада 2018 року є історичним днем для створення незалежної української автокефальної православної Церкви, адже сьогодні відбулося підписання Угоди про створення незалежної української Церкви. Патріарх Варфоломій подякував Президенту України Петру Порошенку та українській делегації за візит. Він також подякував за рішення про передачу Андріївської церкви Вселенському Патріархату для постійного представництва Матері-Церкви у столиці України. «Молюся Господу, щоб найближчим часом я знову відвідав вашу прекрасну і гостинну країну», - сказав Його Всесвятість. Вселенський Патріарх також наголосив, що через Президента України як вибраного представника українського народу передає своє благословення українському народові.